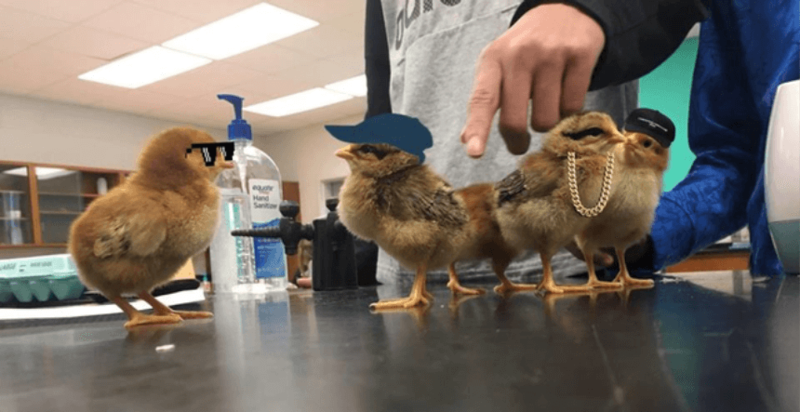 Hatching chicks in the classroom can be both rewarding and exciting, but is your classroom truly ready? I have been an agriculture teacher for three years now and I have definitely had ups and downs with hatching eggs in the classroom. There are a few tips that I think are crucial for anyone who has or wants to hatch chicks. Incubator thermometer: Most incubators have a temperature gauge already on them, however I think it is important to have an additional thermometer inside of the incubator. From past experience, I borrowed a used incubator and the thermometer gauge on the incubator was not reading correctly and we ended up overcooking our first batch of hatching eggs. Automatic Egg Turner Tray: You can purchase incubators that include the egg turning tray. This product is not mandatory if you plan on rotating your eggs yourself however I highly recommend it. I truly believe your hatching success will increase using a tray and it will make your job easier. Egg Candler: I recommend the LED Egg Candler; however, I have been known to use the light from my cell phone. Brooder Box: This is where you will place your chicks after they hatch. Your Brooder Box needs to be in a clean, dry area. I personally have a chick and quail brooder by Brower Equipment. For beginners, a large plastic tote will work, depending on how many chicks you have. Your brooder box will need to be 95 degrees Fahrenheit. You can decrease the temperature 5 degrees every week until you are ready for transition. If you are using a tote or something of that nature, I would layer the base with wood shavings. Heat Lamp: This is one of the most crucial pieces of equipment you will need after your chicks hatch. Some brooder boxes have heat lamps/bulbs built into them but if you are using a plastic tote or something you have built, this is a must have. Feeder and Waterer: Make sure you have these in place in your brooder and that it is accessible for your chicks. Chick Feed: You need to start out feeding a chick starter feed. I prefer a medicated chick starter feed. 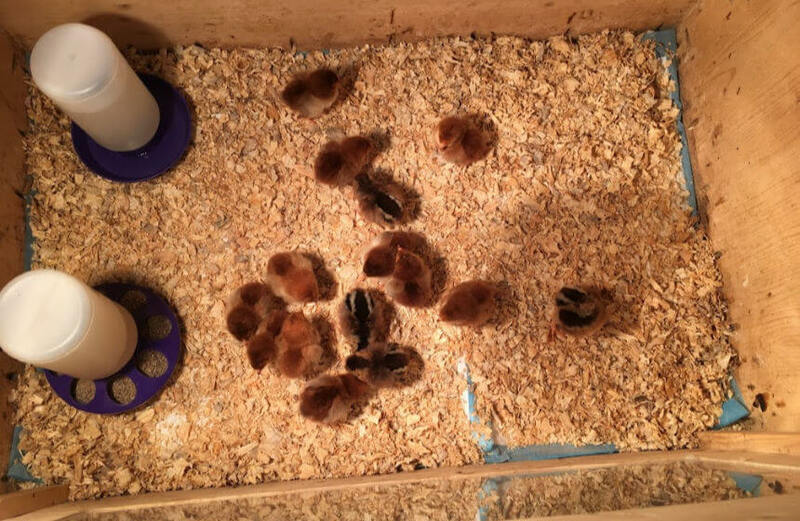 Vitamins and Electrolytes: I highly recommend giving your chicks vitamins and electrolytes in addition to their feed, for the beginning stages. This will allow your chicks to build a stronger immune system. Make sure equipment is working. Before ever putting your eggs in the incubator make sure your incubator is holding a stable temperature. The recommended temperature for hatching chicken eggs is 99-101 degrees Fahrenheit. If using a turning tray, make sure it is rotating properly, as well. Purchase Hatching Eggs from a Reputable Source. I prefer purchasing my eggs from a well-known hatchery. Meyer Hatchery does an exceptional job with stamping the breed on the egg so you know which egg is what breed. You may know what breed or breeds you want to hatch but if not, do your research and find a breed that meets your wants. The incubation period of a chicken is 21 days. 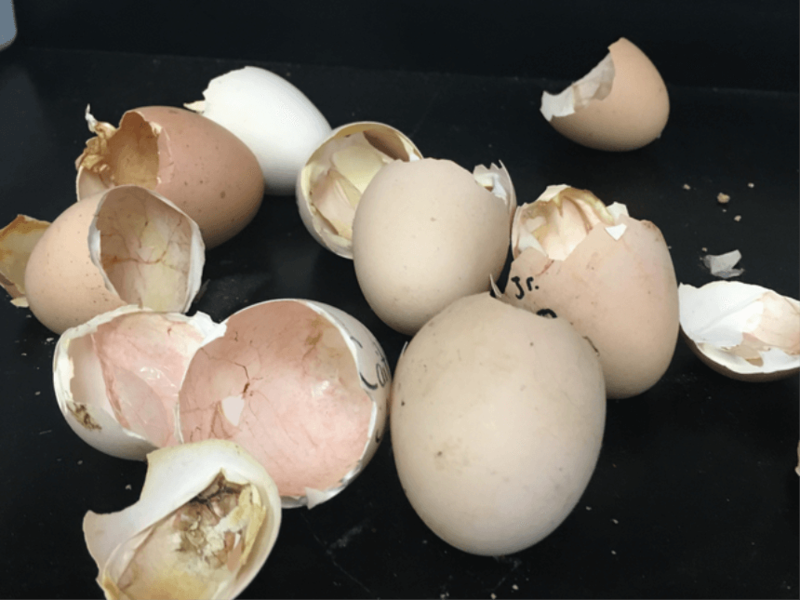 If you are in a classroom setting, I recommend putting your eggs in on Wednesday, which will most likely allow your students the opportunity to observe the hatching process. Place eggs properly in the incubator. If using an egg rotation tray make sure you place your egg in the tray with the small/pointy end down. Candling eggs will allow you to tell which eggs are fertilized and not. The first sign of having a fertilized egg is seeing blood membranes appear. They will look like red spider webs. You can continue to candle your egg to see the progression of growth within the egg. Lock Down Incubator Upon Hatching. On day 18 the fun really begins. If you have a rotating tray, you will remove this from the incubator and place the eggs flat in the base. You will need to increase the humidity to 70%. Do not candle your eggs after day 18 and keep the incubator closed until you are ready to remove the hatched chicks from the incubator. Allow Chicks to dry in incubator before moving to the brooder box. Chicks can survive up to 72 hours without needing food and water. It is crucial not to remove chicks from the incubator until they are fully dried. Have fun, take pictures and enjoy the process. Check out our blog on How to Hatch Using an Incubator for a more in-depth discussion on incubating. I want to wish everyone very successful hatches from here on out. If you need further help, give us a call, chat or email at Meyer Hatchery!